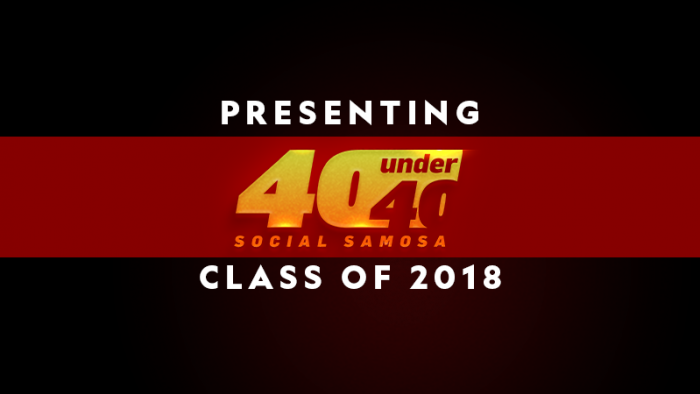 Social Samosa is all set to raise a toast to the 40 Titans who emerged as the winners of the inaugural edition of Social Samosa 40 Under 40. They are diverse, passionate, and versatile and imbibe the expertise to be the leaders in respective fields. With their out-of-the-box thinking, they are touted to be the Leaders of thought and Masters of action who have built and raised Unicorns that impact the growth and expanse of the ecosystem. After receiving a phenomenal 450 plus entries for the debut edition of Social Samosa 40 Under 40, the screening council shortlisted 228 nominees to lead the battle. Without further ado, meet the 40 Masters of Action! Social Samosa 40 Under 40 in association with Vidooly as Associate Partners, Times Internet as Associate Sponsor and, Pure Media Imagination as Trade Partners, was established to acknowledge the work of industry pillars that have time and again redefined the game. We would also like to give a shout out to our esteemed jury panel for spending endless hours evaluating and re-evaluating the participants to pick the final forty. And we must say, it wasn’t an easy task. “Thank you, Social Samosa, for this wonderful initiative. It was a pleasure going through the entries. The quality of profiles and work was excellent and made the judging an extremely difficult choice at times. I wish all the nominees good luck in their journey,” shares Babita Baruah | Managing Partner, GTB India. Social Samosa will be felicitating the 40 winners in a meet up with Industry Stalwarts on December 13, Thursday @ House of Tipsy, Bandra. Write to us to be a part of the meet up with maestros.